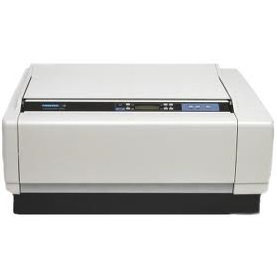 The FormsPro 4503se printer, model 91179, with standard Serial/Parallel interface, can solve your toughest printing problems and automate most paper handling functions. 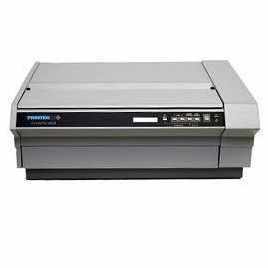 With the FormsPro 4503se, you will print with greater legibility and unsurpassed reliability. The FormsPro 4503se has the Tri-Trak system with three sets of straight through tractors. With a draft speed up to 530 characters per second, FormsPro printers can print a typical 1,000 character document in less than five seconds. That's over 700 documents per hour. Emulation choice of: Printek, Epson FX, IBM Proprinter, DEC LA120/LA210, Genicom ANSI or Basic Bar Codes (Includes Code 39, 2 of 5, Interleaved 2 of 5). More available through Genicom emulation.